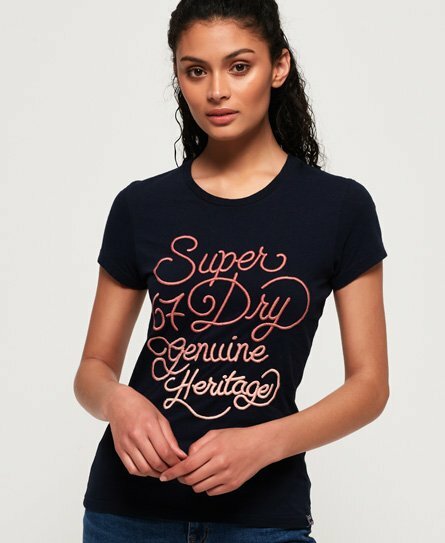 Superdry women's 67 Genuine Fade embroidery t-shirt. A feminine twist on a classic t-shirt, featuring an embroidered Superdry logo across the front in an ombre design, a crew neck and short sleeves. This statement t-shirt is completed with a Superdry logo tab on the hem. Style with a pair of classic blue jeans for a timeless look.